Just a fe quick things that I have been hoarding, not all that I will get to in the next day or two, but you might find the time so I’ll share. Has to be one of my all time faves ideas – marvelous. How About Orange? took the woven paper ball tutorial by The Cheese Thief and made a paper garland that looks like popcorn garlands but won’t attract pests, and will last from year to year. I adore this. Very retro tags, from My Girl Thursday, and if you edit out the TO/FROM you could use them as card toppers as well. Cute printables for handmade items from A Fanciful Twist – and more cute tags that I may have shared last year. 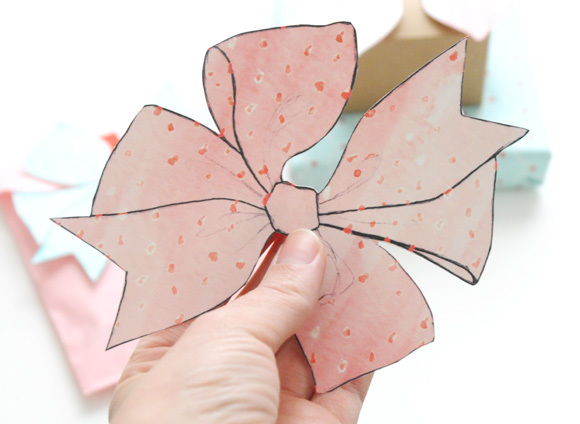 Simply Modern Mom hosts Creature Comforts’ fab, printable bows. What a cute idea! 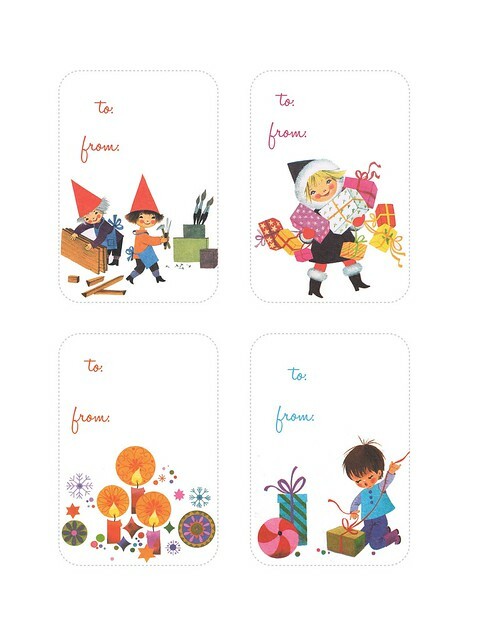 You could easily print the colour your own version on Christmas cardstock and make them festive! Now, off to make pumpkin pie! I finally got round to tidying my kitchen table and found an old(er) copy of Papercraft Inspirations with your wonderful card inside. I have a gorgeous sheet of double sided 12 X 12 just begging to be made into a card for M&D. I’ll let you know how I get on. Thanks for being so generous with all your ideas. Lots going on in your place. I like the idea of a book about you for you. After all, us crafters make and give so much sometimes we should keep a little something for ourselves, and think how fun it will be to look back on it someday.